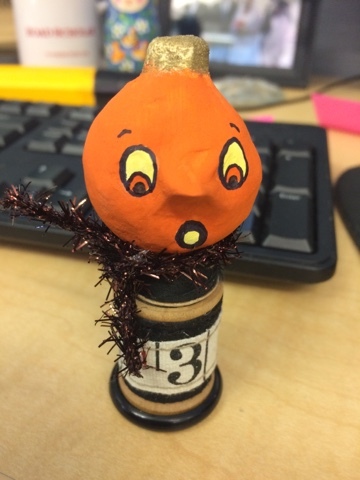 Release the Craftin': Halloween, continued. Another swap wrapped up this week, and these were a few little things that I sent out. 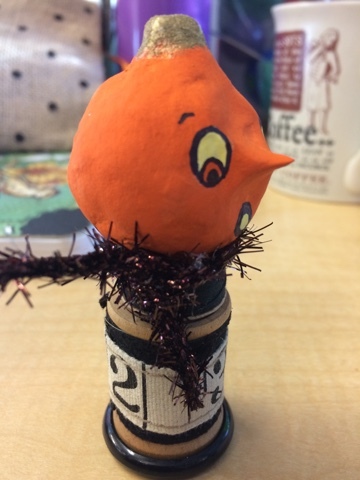 Halloween projects never stop! At least, not until November. I still enjoy the funny little noses. Next up, a mini village. They are meant to be fairly minimalistic, and I kind of enjoy that here. 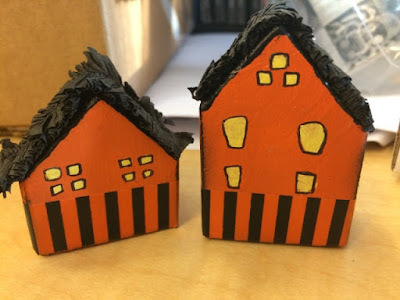 These are wood block houses, painted with acrylics. 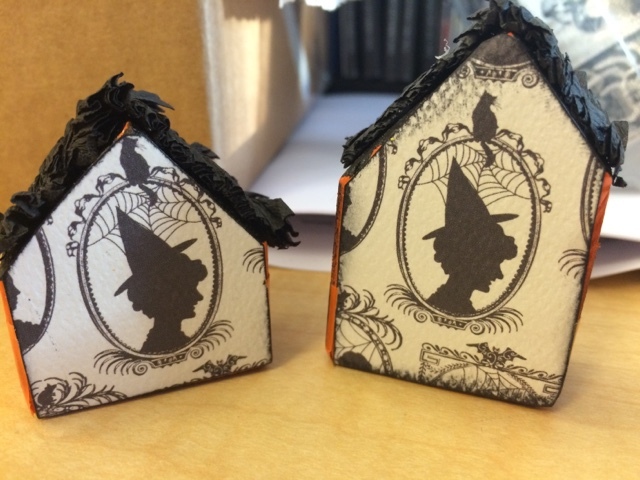 And the reverse - I adore this paper, and wanted the witch ladies to represent. The rooftops have a crepe paper finish. Now, back to making things for me!